Find hotel near Bell House - Camp John Ha .. The Bell House was named after Gen.J.Franklin Bell who was sent to Philippines during the Philippine-American War. Bell was instrumental in transforming Camp John Hay into a major military resort. The Bell House was once the vacation home of the Commanding General of the Philippines and now has been converted to a modern museum of old architecture and lifestyle. There are picturesque gardens surrounding it and the whole place has a colonial feel to it. Near the Bell House is the picturesque Bell Amphitheatre which is a favorite venue for weddings and parties. You can even choose to stay at the resort. There are also picnic tables which can be rented for PHP100. 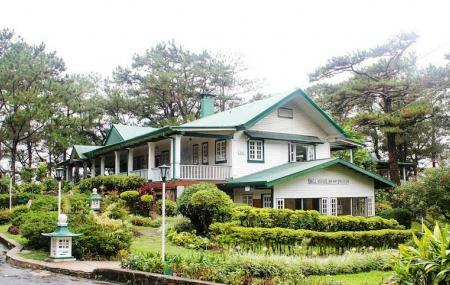 How popular is Bell House - Camp John Hay? People normally club together The Mansion and Good Shepherd Convent while planning their visit to Bell House - Camp John Hay.